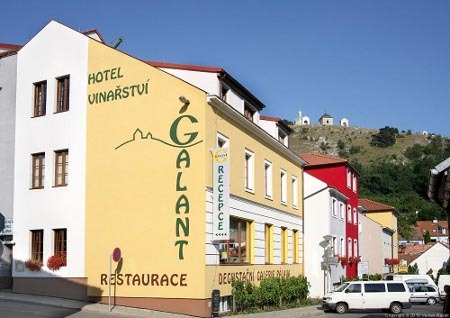 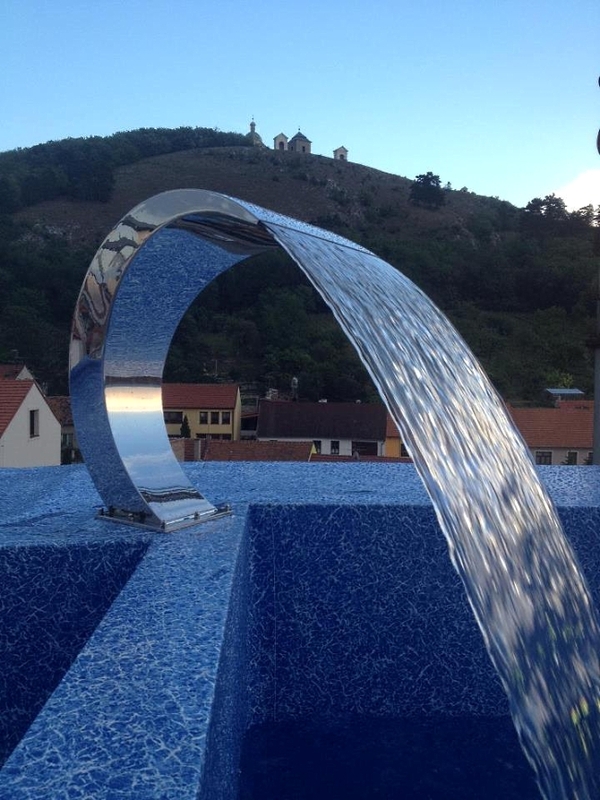 Hotel Galant is a newly built hotel located in the very centre of the South-Moravian town Mikulov, below the Holy Hill and only few minutes walking from the Main Square and the Castle. We offer comfortable accommodation in 105 rooms and suites, own winery producing outstanding white and rosé wines, Degustation Gallery Palava offering more than 150 samples of local wines from our winery as well as other quality wineries from the Palava region, restaurant with sun shade terrace offering superior Czech and International cuisine and of course our (with no price supplement!) 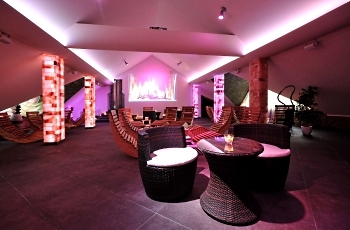 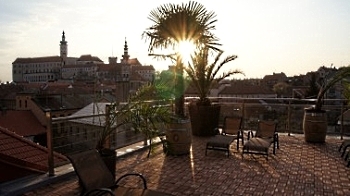 and other local wines, conference & various meetings facilities, non-stop reception and much more. 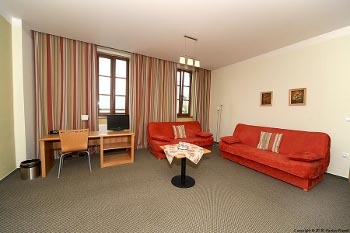 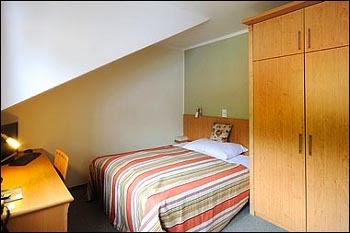 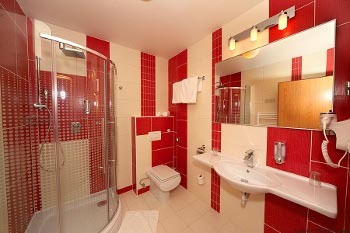 Standard rooms is our main category, we offer in total 75 Standard rooms. 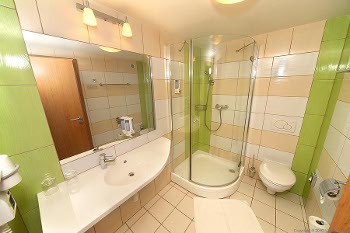 Rooms are spacious with large bathroom, multimedia PC/TV SAT with internet connection, WiFi connection, fridge and direct dial telephone. 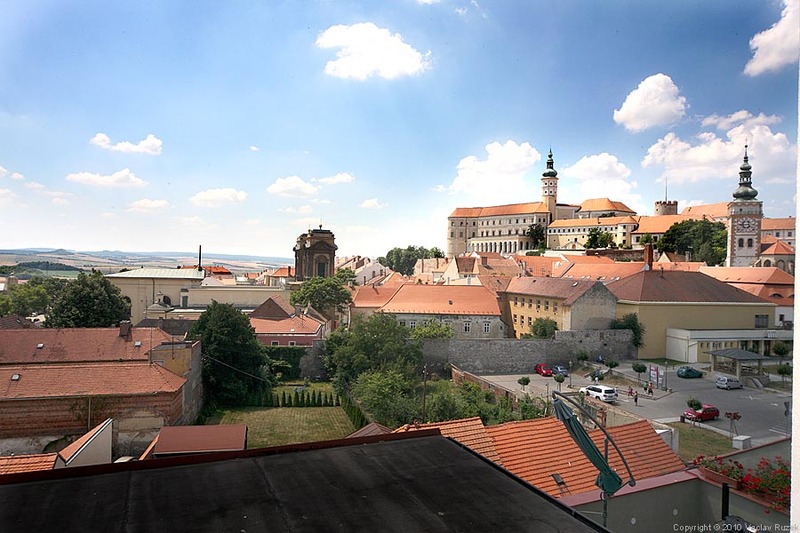 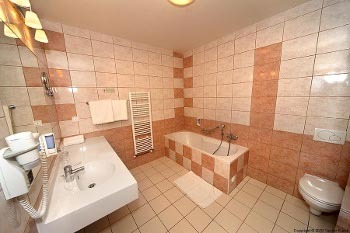 Rooms in the Business category (15 rooms) are very spacious and offers in addition to the Standard rooms air-conditioning, terrace or nice views to Mikulov landmarks: Castle, Holy Hill or Goats´ Castle. 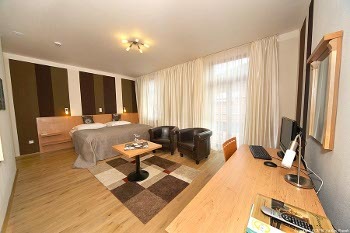 On arrival guests will be granted with a bottle of good wine from our winery. 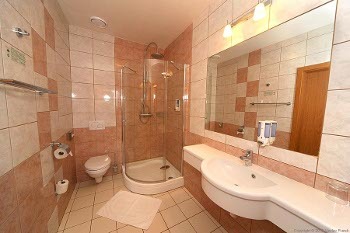 Rooms are also equipped with large bathroom, multimedia PC/TV SAT with internet connection, WiFi connection, fridge and direct dial telephone. 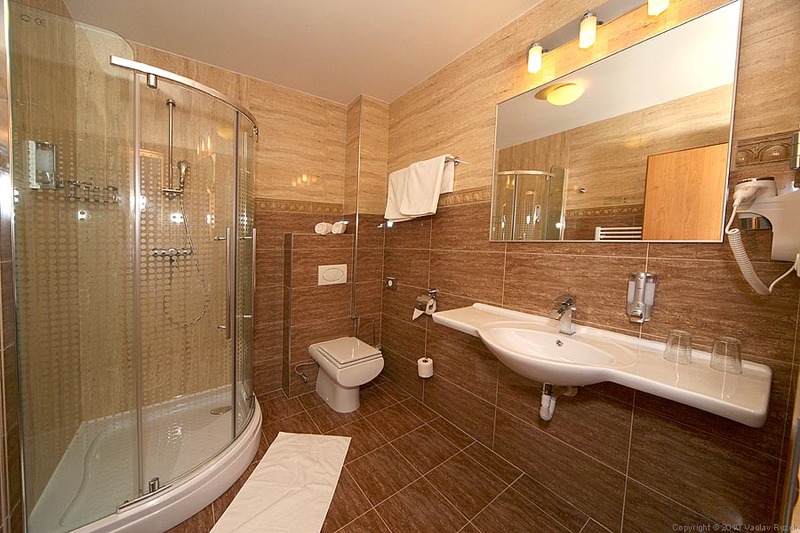 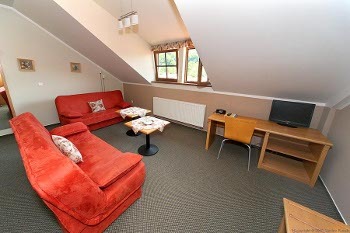 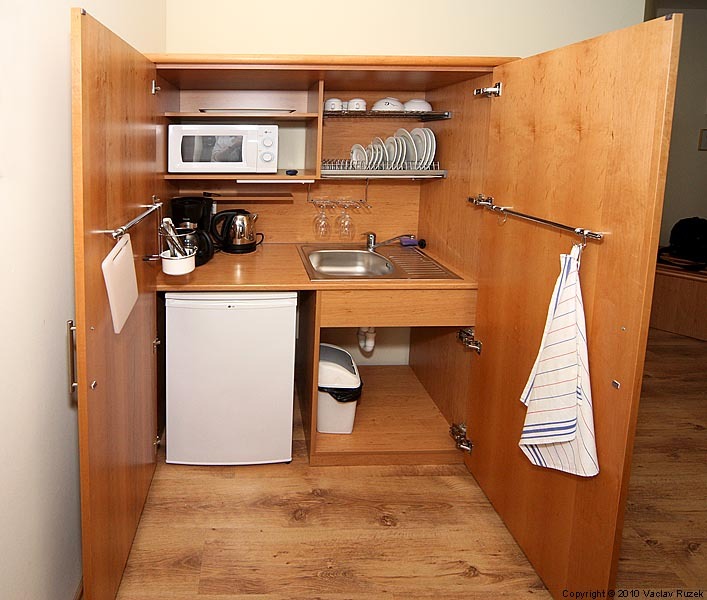 We also offer 7 Economy rooms with private bathroom, TV SAT, WiFi and telephone. We offer two types of apartments (8 in total): One bedroom apartment for up to 4 people and Maisonette apartment for up to 6 people. 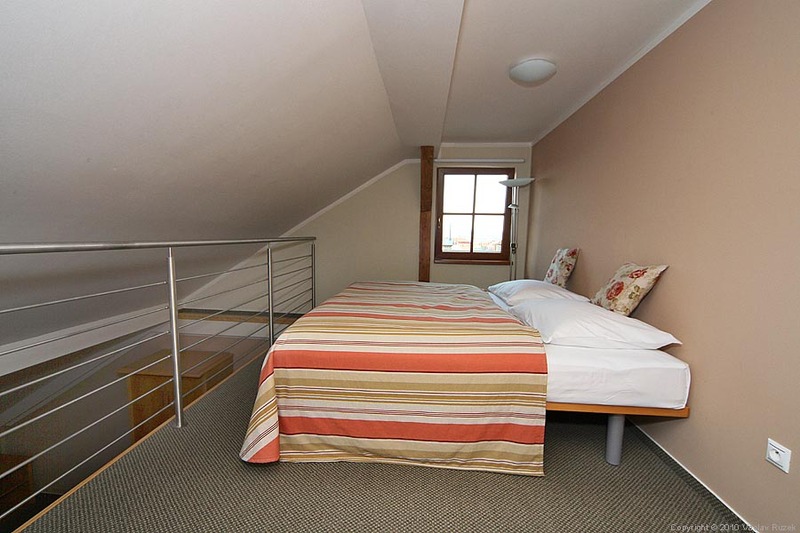 Apartments are very spacious and are equipped with own kitchenette and dining area, separated bedroom (maisonette apartment has a second bedroom on the loft), two bathrooms (one with bathtub and one with shower). 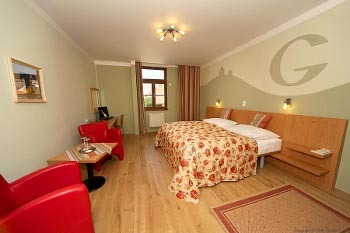 On arrival guests will be granted with a bottle of good wine from our winery. Other equipment include multimedia PC/TV SAT with internet connection, WiFi connection, fridge and direct dial telephone. 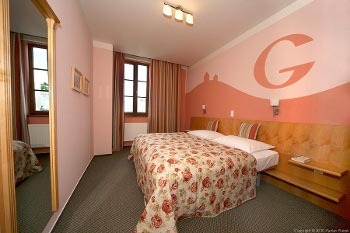 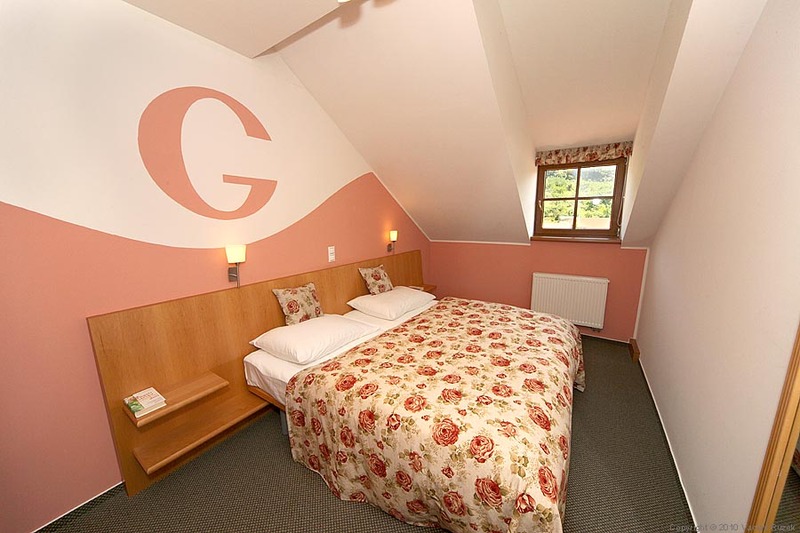 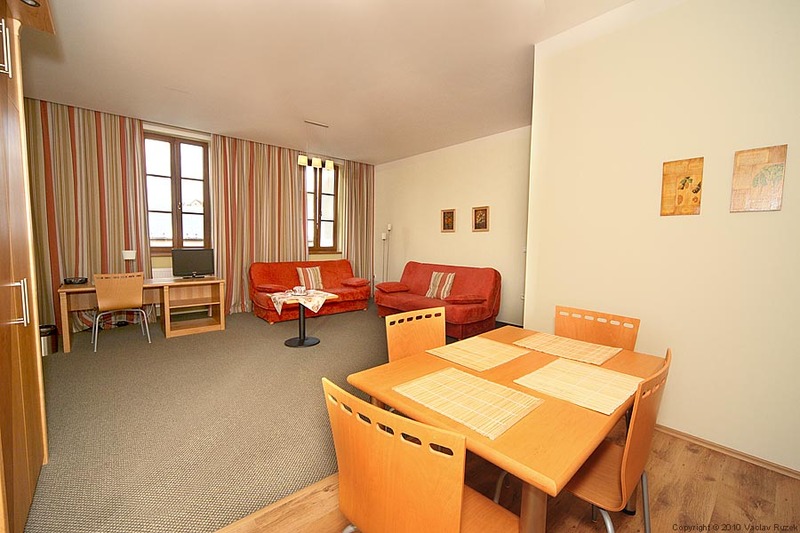 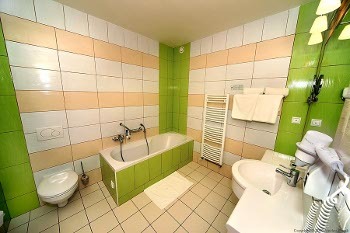 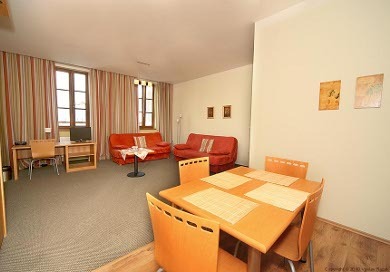 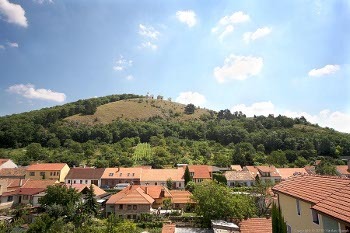 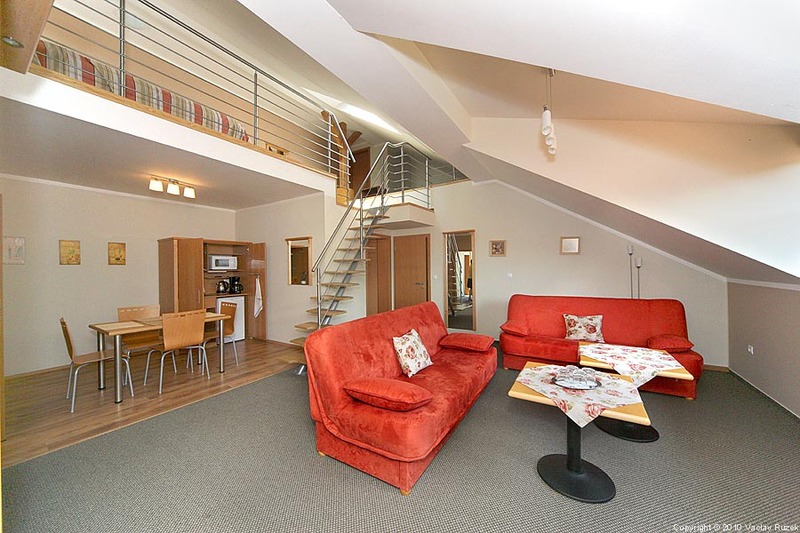 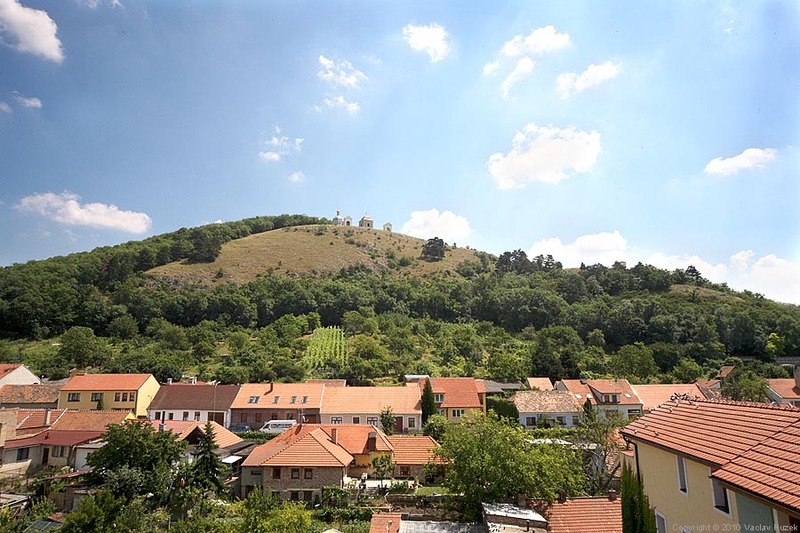 Many of rooms and apartments offer nice views to Mikulov landmarks: Castle, Holy Hill or Goats´ Castle. 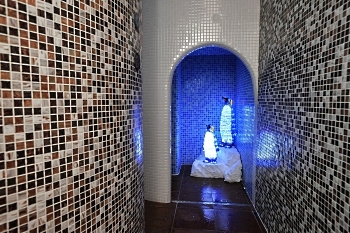 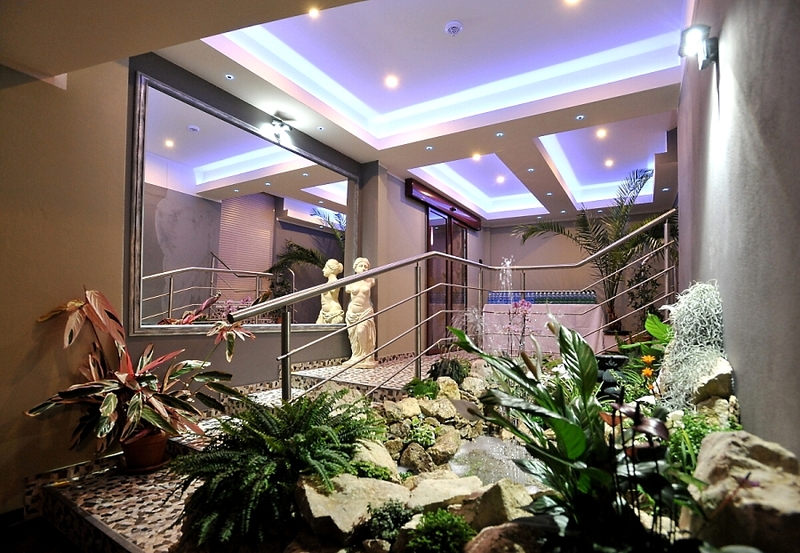 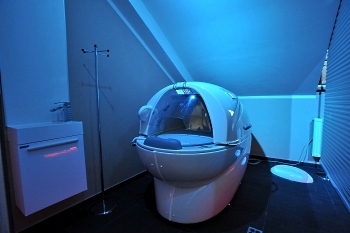 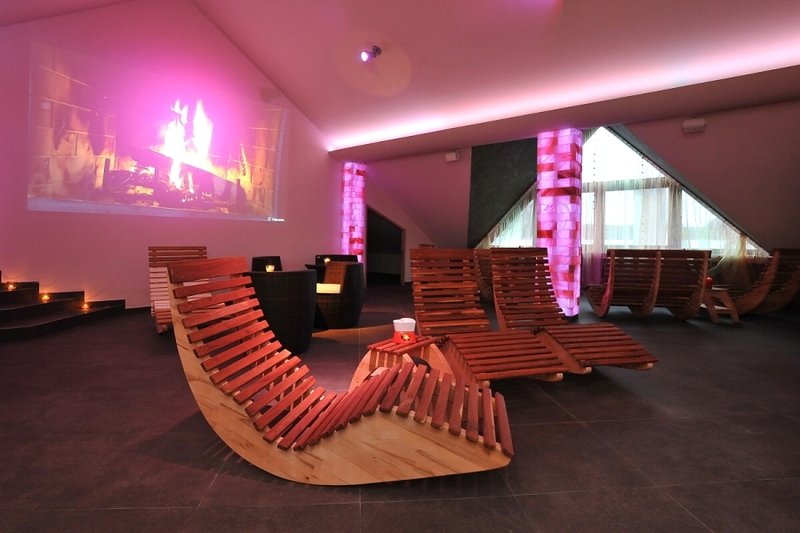 Come to Wine spa & Wellness Galant to rest, relax and recharge yourself. 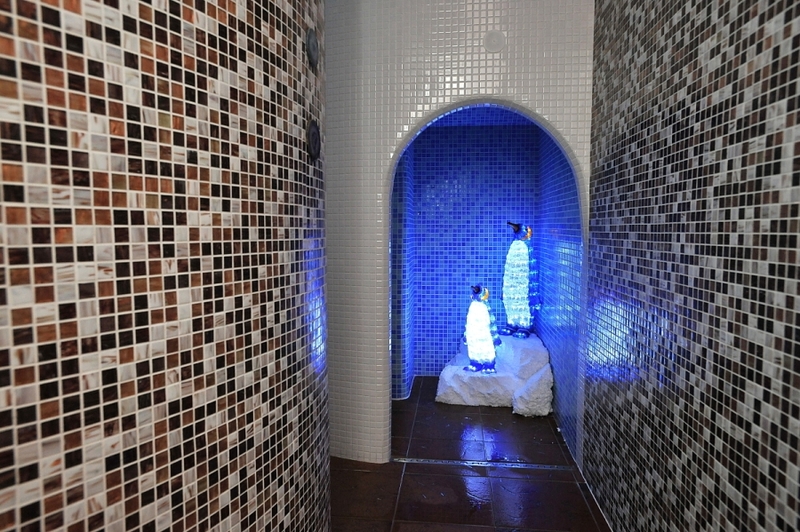 Wine spa & Wellness Galant offers wide range of massages and beauty treatments to alleviate stress and unleash the energy in your body while calming your mind. 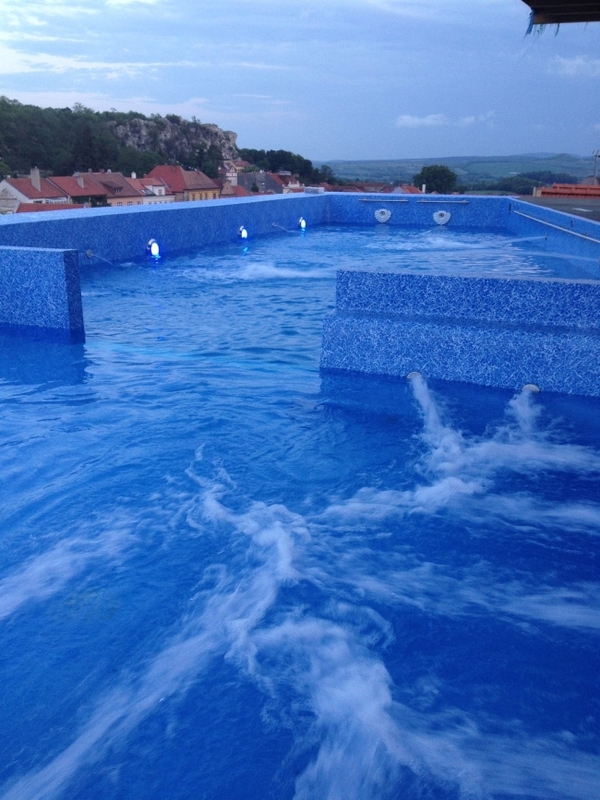 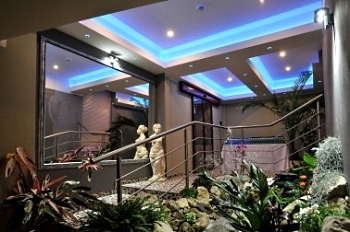 Entrust your body and mind to the hands of our professional therapists who will rejuvenate your life balance and help return your body and mind to their natural serenity, enjoy a treatment in our original wine spa, underwater massage in private bathtub or visit spacious sauna and aqua world with the roof swimming pool and whirlpools with awesome view to all dominants of Mikulov. 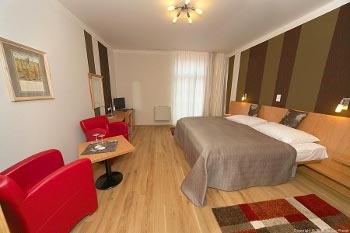 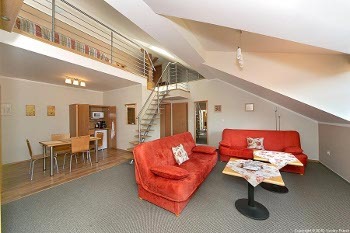 Prices include buffet breakfast, Wi-Fi internet connection, parking on the premises and VAT. Local tax 21 CZK per person is extra. 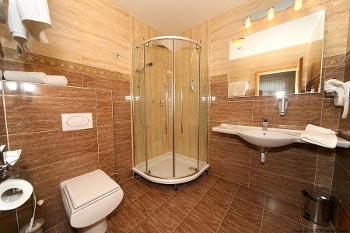 Children up to 10 years free of charge.